​Jurgen Klopp has given a positive update on Joe Gomez's return from injury, while providing injury news on several of his key players ahead of Liverpool's crucial Premier League match against Bournemouth on Saturday. Injuries have hit the Reds hard in recent weeks, with draws against Leicester and West Ham allowing Manchester City to regain top spot in the title race. 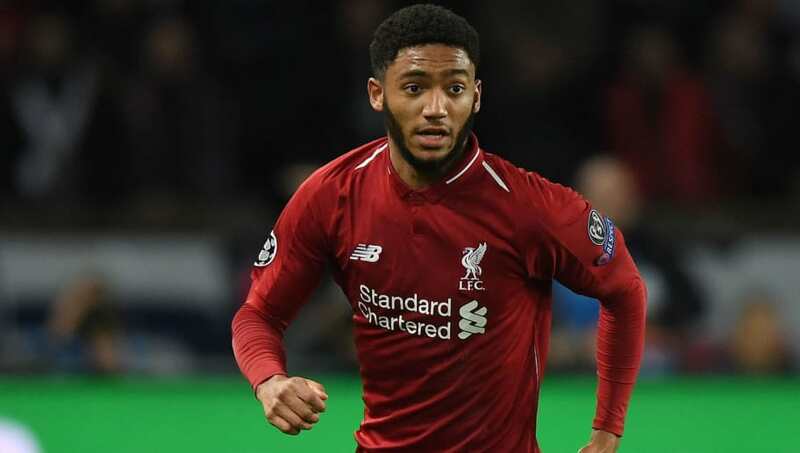 They were dealt another blow this week as it was confirmed that Gomez required surgery to help his recovery from a lower leg fracture suffered against Burnley in December, but Klopp revealed that he was hopeful of having Gomez back in March. "Joe’s surgery worked pretty well. Timeframe is always pretty difficult, but [it's] four to six weeks in terms of return to play," he said at his pre-match press conference, quoted by ​Liverpoolfc.com. Jürgen Klopp: "For Gomez, four to six weeks usually until he can play. Trent trained for the first time yesterday and didn't mention any issues. Hendo trained yesterday too, we'll have another look today. Gini trained completely normally. We'll have to see. Lovren not available"
​Trent Alexander-Arnold, ​Jordan Henderson and ​Georginio Wijnaldum all returned to training on Thursday and could feature against Bournemouth, though Alexander-Arnold is unlikely to be rushed back after a four-week absence. "Trent trained yesterday for the first time and didn’t mention any issues or any problems. After four weeks for a first session, we need to see what we do there," said Klopp. "Jordan trained yesterday as well for the first time; it was not that long a break but it was a muscle issue. We need to have another look today. "Gini trained yesterday completely normal, but I don’t know in the moment. We have to see." Klopp confirmed that ​Dejan Lovren was not available for Saturday's match however, with ​Liverpool aiming to have the Croatian fit for their Champions League last 16 tie against Bayern Munich on 19 February. A win or a point against Bournemouth will temporarily restore Liverpool's lead at the top of the Premier League, with Manchester City hosting Chelsea on Sunday.